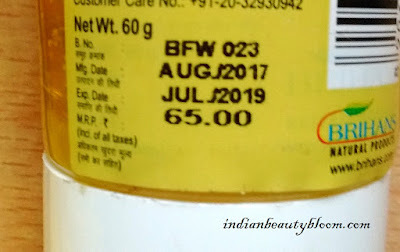 Today I am going to review a product from brand Brihans Natural . 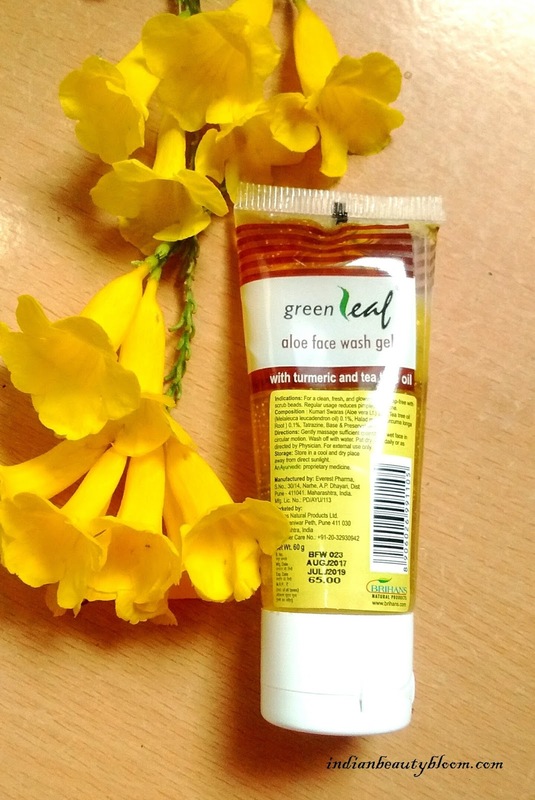 It’s Green Leaf Aloe Face Wash Gel . 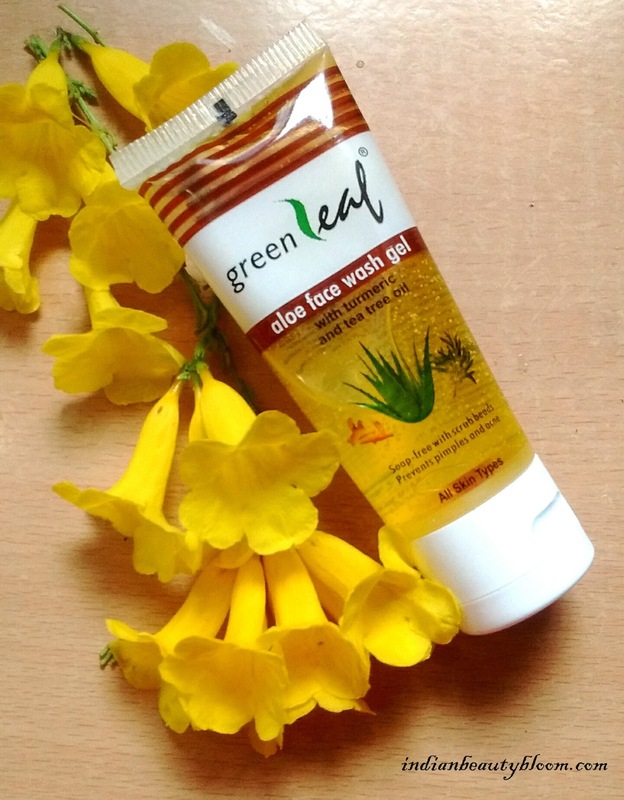 Green Leaf Aloe Face Wash Gel is an Ayurvedic product . It’s a Soap Free Gel with scrub beads . With some excellent ingredients like Turmeric , Tea Tree Oil , Aloe Vera Gel it’s makes a perfect cleanser for all skin type , Specially for oily skin as it has tea tree oil & turmeric . It cleanses & exfoliates the skin and aloe vera gel in it moisturizes the skin . So a good product . It’s in a tube form from which little quantity of face wash can be easily squeezed out to use . It’s travel friendly too . 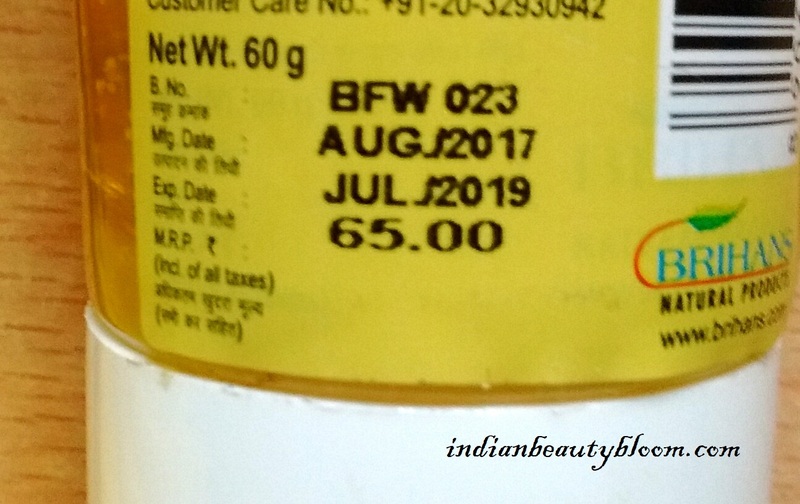 The main ingredients are Aloe Vera , Tea Tree Oil , Turmeric . 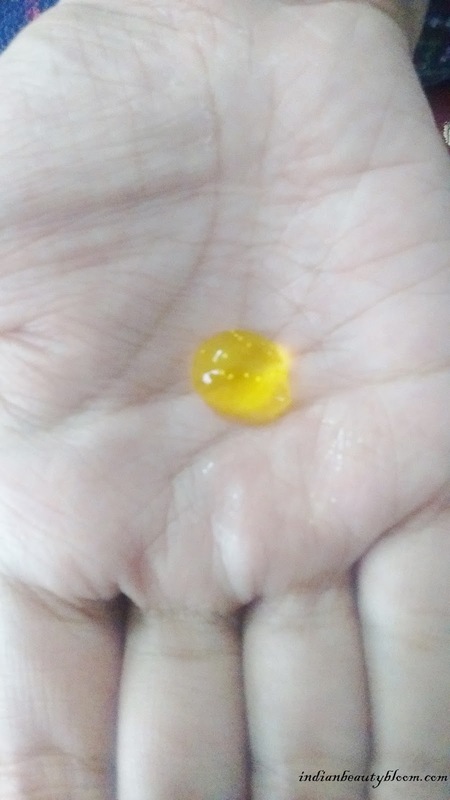 This face wash is a Yellow Color thick gel with small beads in it . The Beads helps to exfoliates the skin . 1. 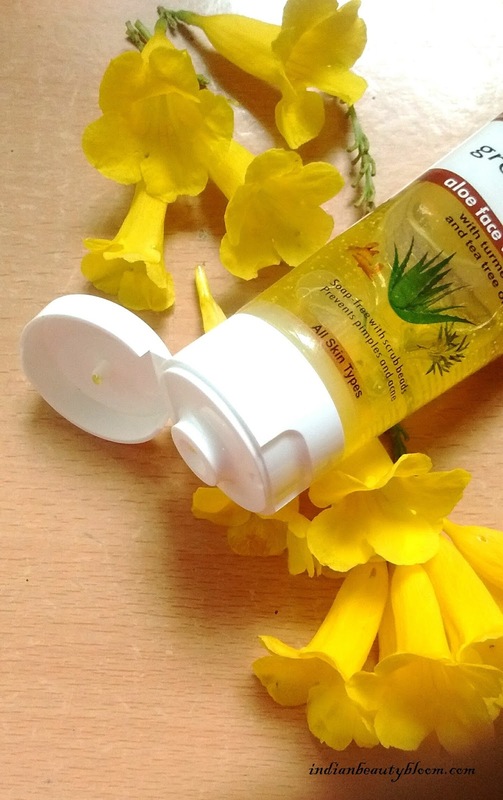 Has Goodness of Aloe Vera , Tea Tree Oil , Turmeric . 2. Thoroughly cleanses the skin removing dirt , Oil etc . 3. Does not makes the skin dry as it has Aloe Vera . 4. Nice Fragrance similar to turmeric . 6. Suitable for all skin type , Best for Oily Skin . Available only on online stores . Since my skin type is Oily , I found it too good on my skin . It Super Affordable , Rs 65 for 60 gms is too good . It has small beads in it which also exfoliates the skin . The product claims to remove blackheads , since I have not used this for a long period of time I can’t say anything about it right now , can update after some more time . But otherwise it’s a Decent Product in Affordable range .